Emaar Sun Townhouses are ornamented with contemporary Middle Eastern Architectural which includes all the modern amenities which provide a luxurious lifestyle environment for the residents. These townhouses have all the contemporary amenities which provide an expensive lifestyle environment for the residents. 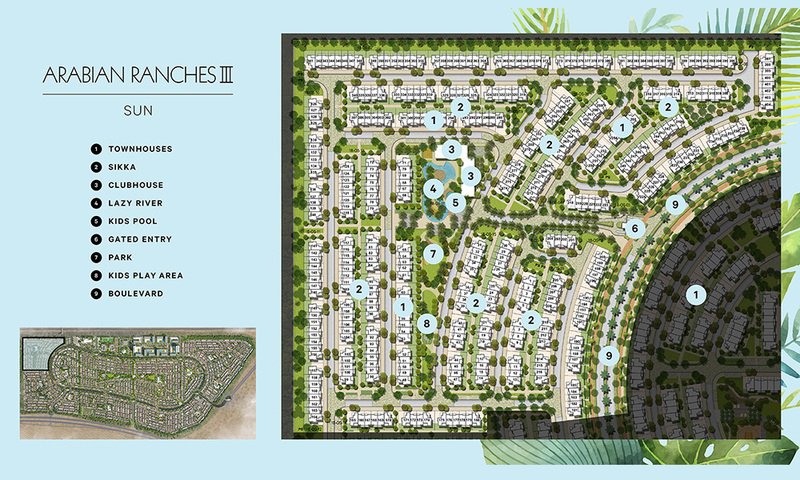 The central park located nearby Arabian Ranches provides as a hub for entertaining activities with a central plaza, exploration zones, lawns, Skate Park, BBQ Areas, jogging tracks and various other amenities to enjoy.